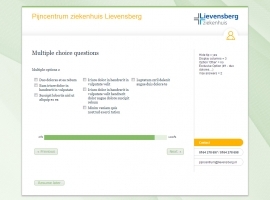 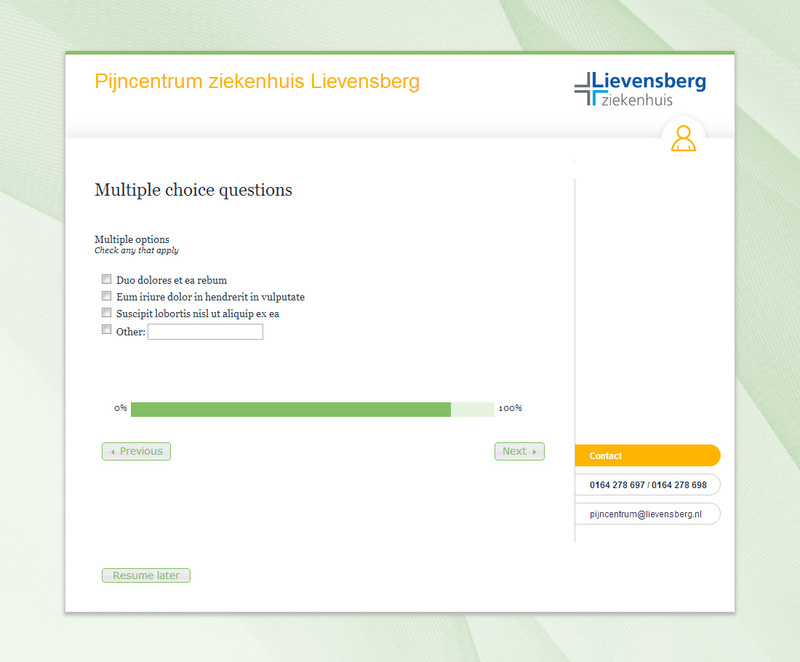 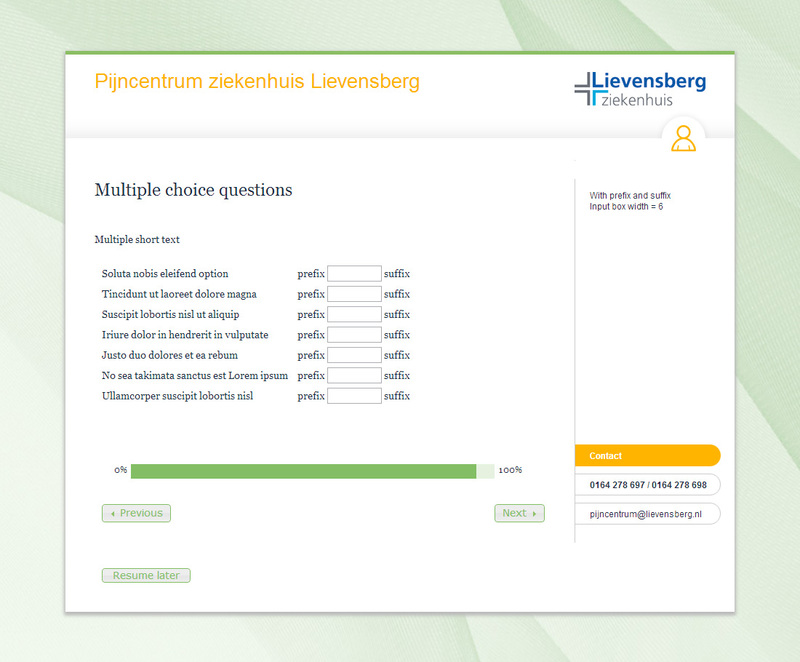 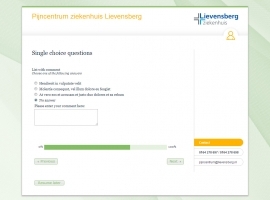 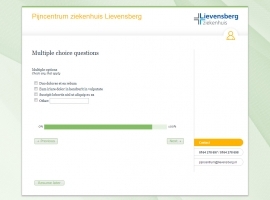 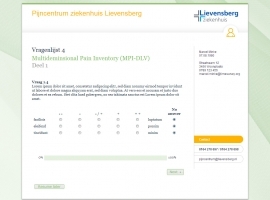 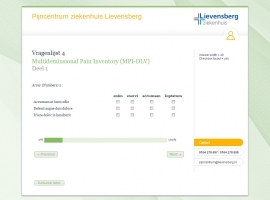 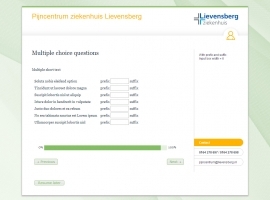 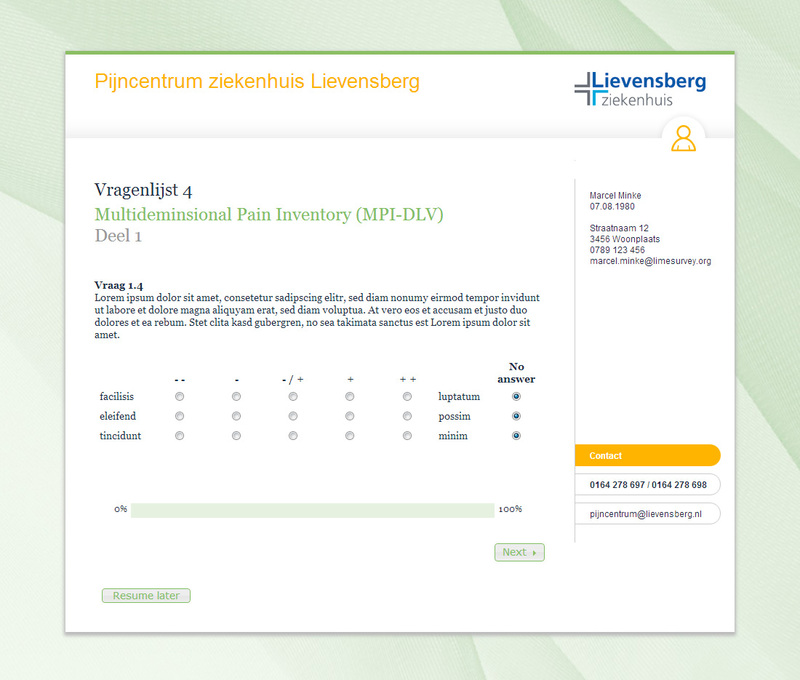 A hospital in The Netherlands was asking for a special template that should be optimized for a certain survey layout. 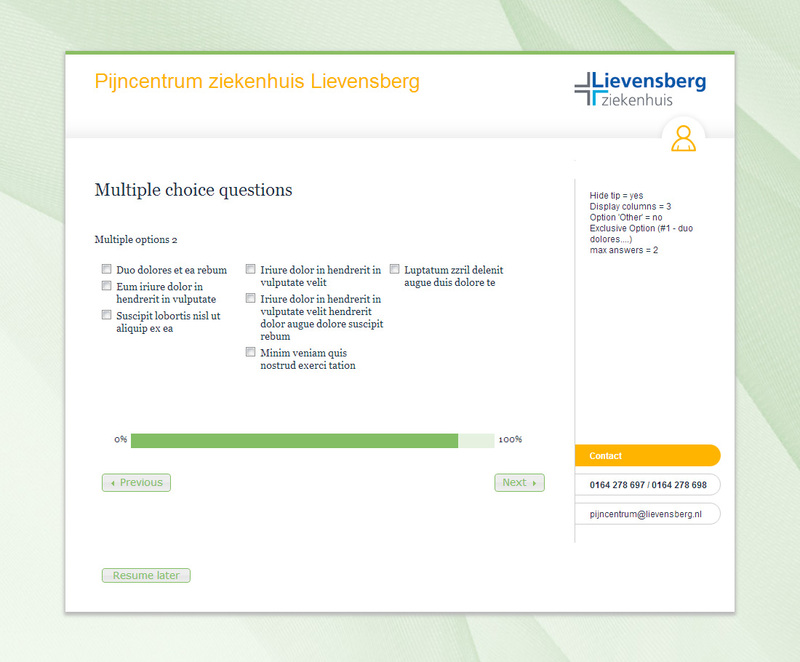 On the left the survey questions should be shown while on the right side the data of the currently surveyed patient had to be shown. 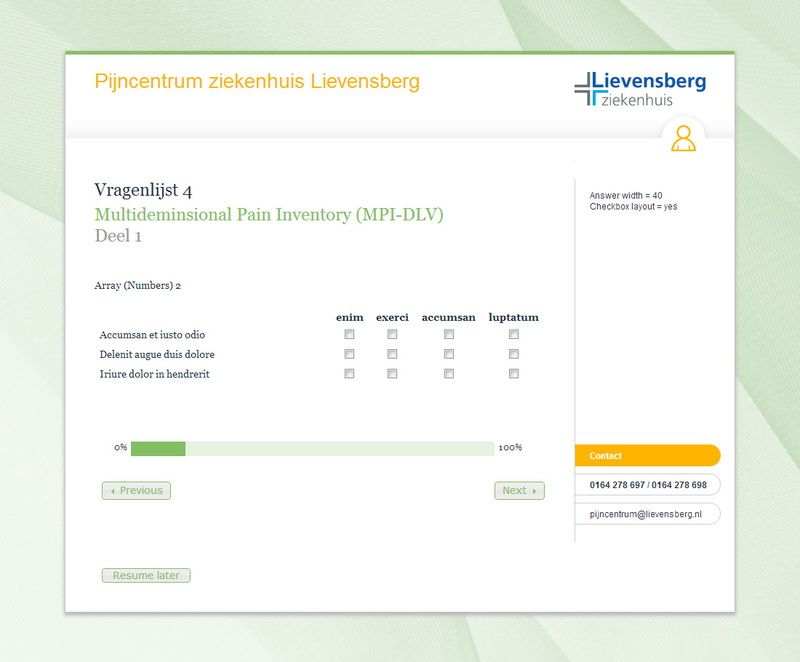 We achieved this by making use of placeholders to dynamically load the patient data into predefined boxes on the right. 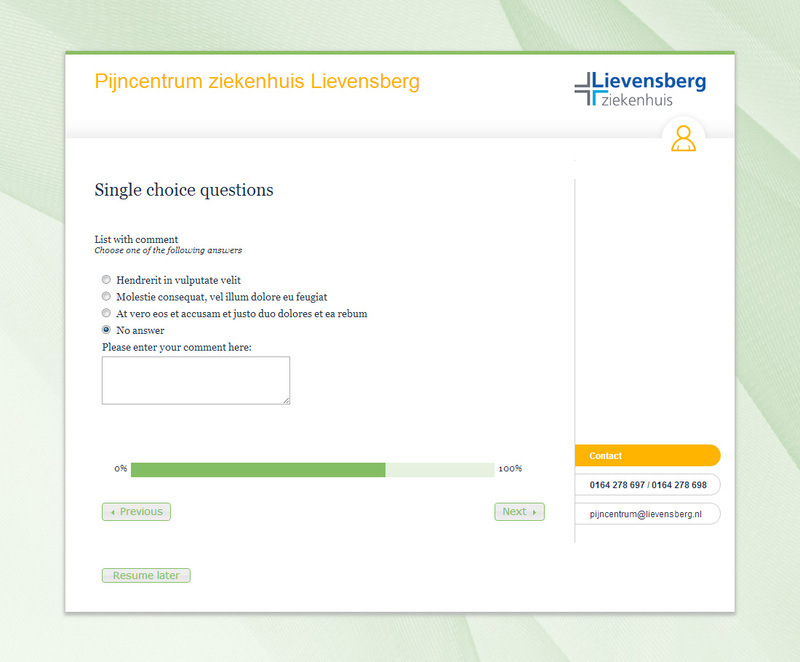 This customer supplied us with quite detailed requirements like a larger and differently placed progress bar, a different button placement and a detailed color scheme.